The American Health Council recently appointed Timothy Nydam, MD as “Best in Medicine.” Currently a staff physician at Avera McKennan Hospital and University Health Center in Sioux Falls, S.D., Dr. Timothy Nydam combines education and practice as he teaches medical students and residents while treating patients. While he has held his current role for over two years, he has spent the last thirteen years in healthcare expanding his skills and expertise in emergency care, patient care and medicine. Growing up on a farm, Dr. Nydam realized early-on that his allergy to soybeans would mean he would need to find a profession outside of agriculture. His upbringing sparked an interest in healthcare. Eventually setting a goal to become a physician, he enrolled at the Sanford School of Medicine and earned his medical degree in 2006. He initially trained through urology residency at Walter Reed Army Medical Center in Washington, D.C. Here, he earned the Dr. Walter Reed Bronze Torch of Excellence Award, an award that is rarely bestowed to resident physicians as it is typically reserved for attending physicians. He completed a second residency in emergency medicine in 2014 at Madigan Army Medical Center in Tacoma, Washington. He was elected as a chief resident during his final year of training. 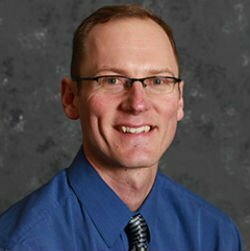 At Avera McKennan Hospital and University Health Center, Dr. Nydam performs a dual role by teaching and practicing. The Avera McKennan campus comprises four plazas, each one dedicated to several specialties. He enjoys the combination of clinical care and teaching, as it allows him to balance his interests. A U.S. Army veteran, Dr. Nydam served as a Medical Corps Major during his time on active duty service. He was deployed to Afghanistan from 2010-2011 where he learned years of experience in a short amount of time. He was awarded the Army Commendation Medal, Army Achievement Medal, Meritorious Service Medal and the Bronze Star for his participation in the Global War on Terrorism between 2001 and 2014. He has since received promotion to Lieutenant Colonel during his continued service to the Medical Corps within the U.S. Army Reserve. He is a member of the American College of Physicians, the American Medical Association, and is board-certified with the American Board of Emergency Medicine. In his free time, he enjoys staying active by running, weight lifting, hunting, fishing and spending precious time with his wife and children. Dr. Nydam plans to continue by advancing his current practice and has a special interest in assisting with development of advanced and portable medical technology for deployment in tactical, austere as well as rural environments. Avera serves South Dakota and surrounding areas of Minnesota, Iowa, Nebraska and North Dakota through six regional centers in Aberdeen, Mitchell, Pierre, Sioux Falls and Yankton, S.D., and Marshall, Minn.
Avera serves patients through 33 hospitals, 208 primary and specialty care clinics, 40 senior living facilities in addition to home care and hospice, sports and wellness facilities, home medical equipment outlets and more. As a health ministry rooted in the Gospel, Avera’s mission is to make a positive impact in the lives and health of persons and communities by providing quality services guided by Christian values. Avera is guided by Gospel values of compassion, hospitality and stewardship. Avera’s 16,000 employees are encouraged to live out the mission and values, each and every day, in every patient encounter.